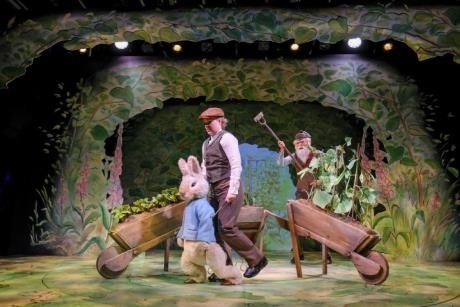 The show, Where is Peter Rabbit?, is suitable for school groups and will return to the Cumbria attraction this summer. The musical performance will open on 26th May and will run until 2nd December at The World of Beatrix Potter in Windermere, Cumbria. Inspired by the children’s stories by Beatrix Potter, the musical theatrical adventure brings to life the author’s favourite characters in a ‘visual spectacular’. Visitors can enjoy ticket packages including afternoon tea with Peter Rabbit himself and there are special packages for schools including free tickets to the attraction. School visits are welcome at the attraction and visits can be tailored to suit the needs of each individual group. Beatrix Potter’s stories can be linked to Literacy, History, Geography, Art and Science. Classes might also enjoy added extras such as appearances from characters accompanied by talks which can be tailored dependent of your requirements. Schools can also enjoy a tour of the museum when visiting, learning about the various areas and stories. A Learning Resource Pack is also available. It is currently being updated for 2018 and will available for downloading later this year. Combined trips can be arranged as the attraction has a partnership with other local attractions such as Windermere Lake Cruises. Teachers wanting more information can call 015394 88444, extension 227. For more information, visit www.hop-skip-jump.com/where-is-peter-rabbit/.